This example is sort of extension of our previous post of Webview Example in which we have loaded the HTML page from URL. 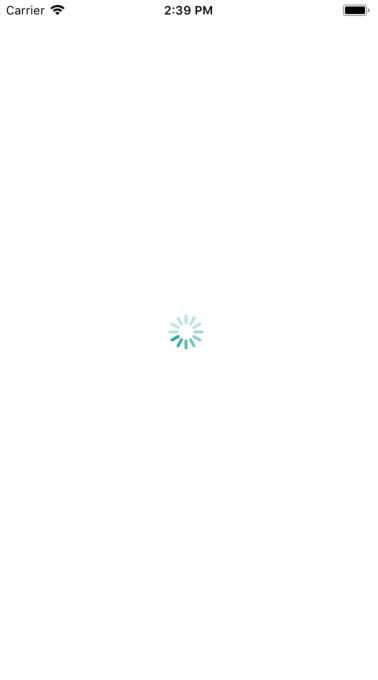 Here is the example of how to Show Progress bar While Loading WebView. As it is the import topic to cover so we decided to cover it separately. 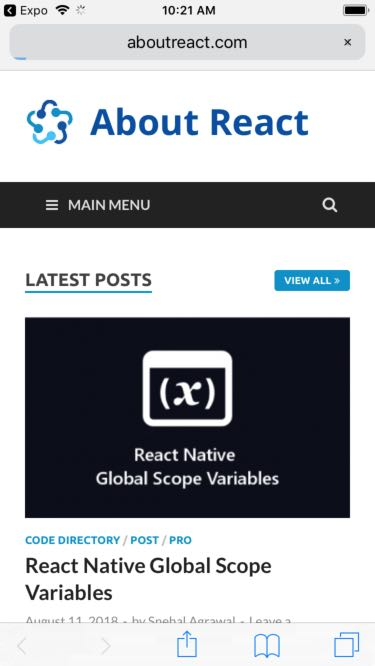 WebView extracted from the react-native core will be removed in the near future (You can see the screenshot below) so I have made an updated post on How to Load Local HTML File or URL in React Native using react-native-webview. Please visit the updated post. In this example, we will show the ActivityIndicator while the webpage is loading this will help the user to understand that application is doing some task. If we do not apply the progress bar and web page took some extra time to load then the user will be confused that the application is not working so we suggest you use Progress Bar if you are using WebView to load the webpage. This is how you can show the progress bar while loading webview. If you have any doubt or you want to share something about the topic you can comment below or contact us here. There will be more posts coming soon. Stay tuned! 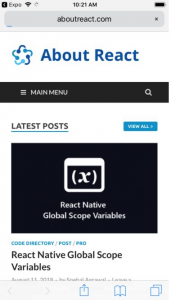 Before the example React Native Load Local HTML File in WebView, we are hoping you have visited our Webview Example in which we have loaded the HTML page from URL. Here is the example of how to show a webpage from the locally available HTML file. Now make a directory named resources and place an index.html file there. This is how you can load local HTML file in Webview in React Native. If you have any doubt or you want to share something about the topic you can comment below or contact us here. There will be more posts coming soon. Stay tuned!